With beaches and lagoons, restaurants and wine farms, holiday homes, and general all-round beauty, Hermanus is one of the most vibrant holiday destinations in the country and is close enough to Cape Town to warrant a day trip. The jewel of the Overberg and capital of the Cape Whale Coast Route, the greater Hermanus area stretches from Fisherhaven and Benguela Cove on the Bot River estuary past the quaint villages of Vermont, Onrus and Sandbaai, through to De Kelders, Gansbaai and Pearly Beach. It is less than two hours’ drive from Cape Town via a scenic route through Betty’s and Pringle bays, or the N2 highway. It is also only about an hour from Cape Agulhas, the southernmost tip of Africa. Originally called Hermanuspietersfontein, but shortened because the name was too long for the postal service (as well as anyone writing it out), Hermanus is most famous for the southern right whales which visit annually to calve in Walker Bay. The area is considered to be one of the best land-based whale watching locations in the world and a long stretch of cliffs provide plenty of vantage points. Kayaking in the bay is a popular pastime but during whale season – July till December – the waters are declared a marine reserve and therefore off-limits for boats without special permits. A whale-crier with his kelp horn will alert you when there are whales in the bay. Don’t forget your binoculars – although the whales can come as close as 10 metres from the shore, they are more often farther out in the bay. Hermanus is a water sports hotspot with crayfishing (with permits of course, available from the post office), fishing, deep-sea diving (especially around the shipwrecks), boating, kayaking, surfing and more. For nature lovers, the surrounding coastal fynbos and bird life are a real treat. Fernkloof Nature Reserve, which lies in the Kleinrivier Mountains above Hermanus, has a 60km network of trails suitable for all levels of fitness. 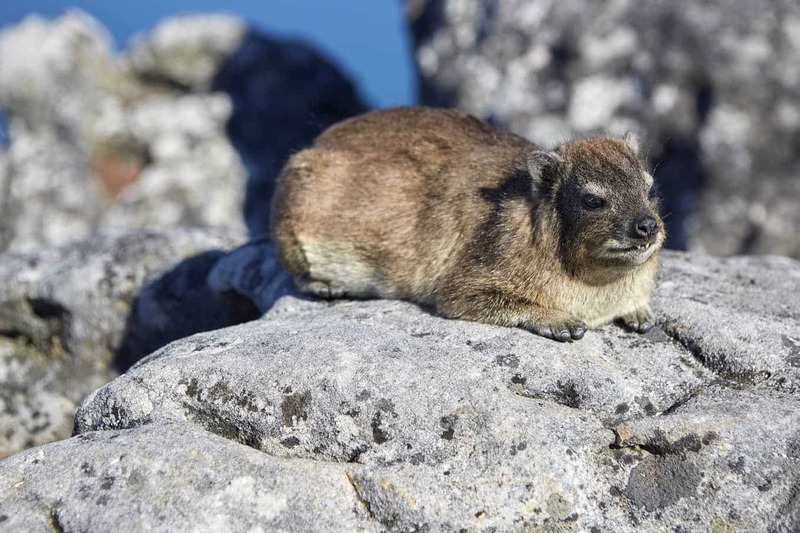 If you keep your eyes peeled you may spot grey rhebok, Cape grysbok, klipspringer, baboon, mongoose and dassies. The area is a hotspot for mountain bikers and a variety of routes offer spectacular scenery. If you can’t bring your own equipment, local bike shops rent out whatever you require. Fernkloof Nature Reserve offers a 17km circular trail which is signposted and may be joined at any point within the reserve. Ask the Hermanus Cycling Club for more information. 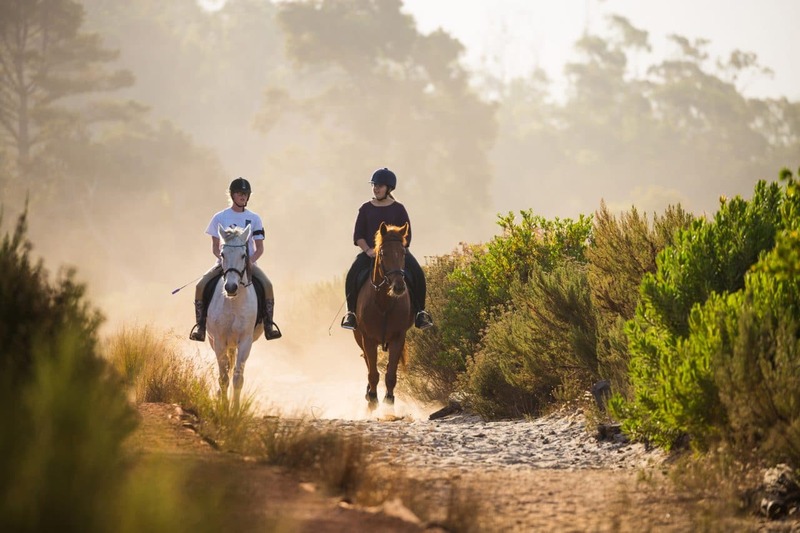 Other activities include horse-riding, paragliding, boules and two superb golf courses – the Hermanus Golf Club and the nearby Arabella Golf Club. Grotto Beach is one of three Blue Flag beaches in the area. It’s the biggest beach, with great facilities and an unspoiled natural side with the Kleinriver lagoon ideal for water sports like canoeing. Aside from the stunning beaches and smorgasbord of water and nature adventures, the area has its own wine route in the Hemel-en-Aarde valley – literally, “heaven and earth” in Afrikaans – that winds along the picturesque R320 past 15 wineries. Known as the “heartbreak grape” because it is notoriously delicate, pinot noir from this region is particularly good. Wine Village (R320) is an exceptionally good wine shop at the beginning of the route. The town has many art galleries, and if you only visit one restaurant make it Bientang’s Cave (below Marine Drive) which is exactly as its name suggests – an ancient cave named after the Koi Strandloper that lived there. It’s carved into the cliffs and you can enjoy seafood with a view. Don’t miss the annual Whale Festival that takes place in September/October, and the Hermanus FynArts Festival in June.